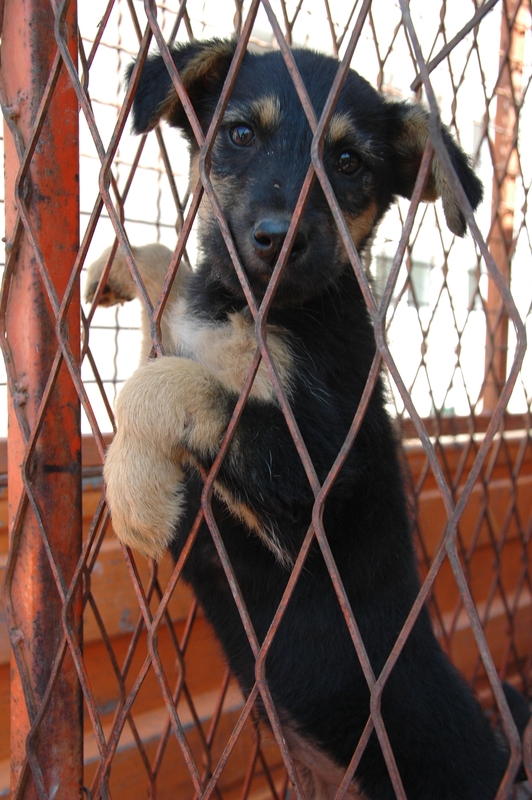 Romania: Thick Head Botosani Mayor Is Leaving Animals At Shelters To Die. 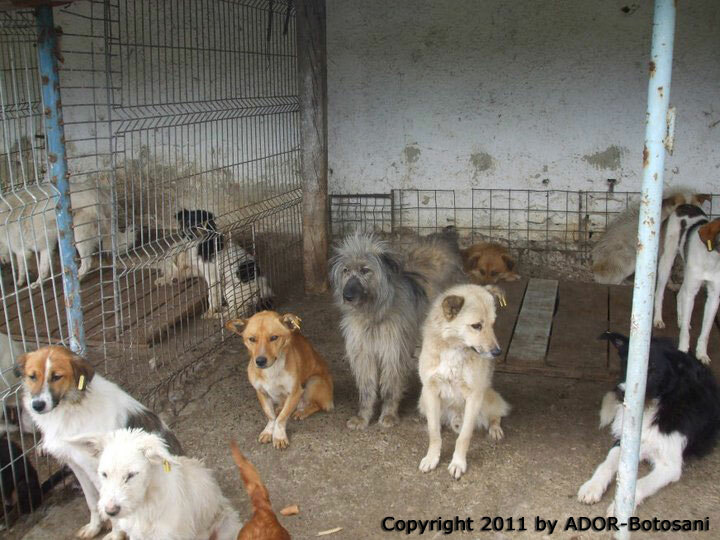 New pics from Botosani, a full shelter, no wate ror food, and the request for money to buy the animals off. Along with lots of news and actions. The brain dead mayor of Botosani (pictured above) Catalin Muguel Flutur (‚surprisingly’ he is the brother of the vice-president Gheorghe Flutur of the leading party PDL) apparently wants to make an example in his town. Probably he likes to show very big-mouthed how easy and active he manages this topic in Botosani while the government is debating cowardly about the new law. This mayor doesn’ t care if his doing is legal or illegal or ethical. It’s a matter of business, retention of power and influence. These ‘cleanings’ are not acceptable! It is hoped that the…..
……. but the EU appears to care very little about EU animal welfare in this case !! Uk (England): Industrial Pig Farm in Derbyshire? – Please Sign the Petition to Stop Planning Application. This petition is also open to NON UK residents to sign. The more international support there is, the better the chance of success. Please sign – Thank You. Subject: Industrial pig farm in Derbyshire? At pig factory farms, adult sows are pregnant for most of their lives. Their piglets are artificially weaned when they’re 3-4 weeks old (natural weaning takes place at 11-14 weeks), and the sows are inseminated again one week after weaning. While pregnant, the sows are kept in stalls too small for them to move around. 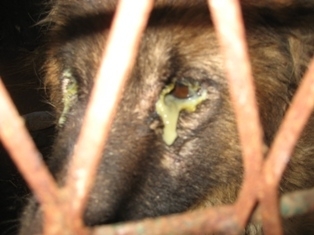 They bite the bars of their cages in their fever to get free. Midland Pig Producers (MPP) wants to build a pig factory farm in a pristine field in Derbyshire. The factory farm would house 2,500 breeding sows, and 25,000 pigs total. 1,000 pigs would be slaughtered every week. If approved, the facility would be the third largest pig factory farm in the UK. 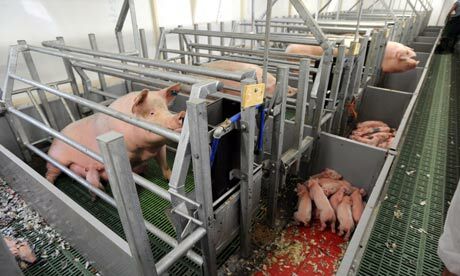 The Derbyshire County Council can stop Midland Pig Producers from building this enormous factory farm, but time is short — they may vote as soon as 11 July. Please sign the petition to tell them to vote no. Pig factory farms aren’t only horrible for the pigs who live and die there — they’re also extremely bad for the environment and the people who live nearby. According to the UN, livestock production accounts for 18% of greenhouse gas emissions worldwide (cars and transport account for just 14%). Toxic gases from factory farms have also been known to cause illness in nearby humans, and a University of Missouri report cited that property values within two tenths of a kilometre of factory farms decreased by 88.3%. Perhaps worst of all, pig factory farms pump their piglets full of antibiotics, which dramatically increases the incidence of drug-resistant diseases (like MRSA) that can spread from pigs to humans. In America last year, more people died from MRSA than AIDS. Huge factory farms are common in America, but not so in the UK. A “no” vote from the Derbyshire County Council could set an important precedent to help keep it that way. Netherlands: Dutch MPs Effectively Ban Ritual Slaughter of Animals. 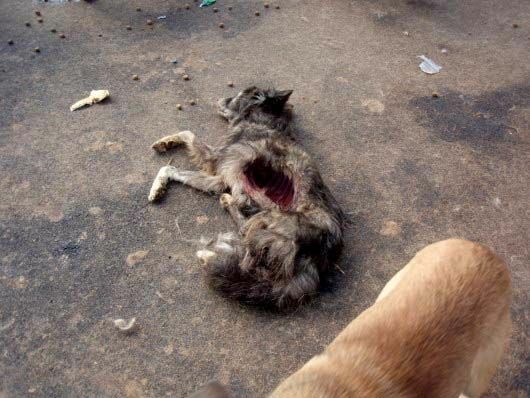 The legislation states that all animals must be stunned before being killed. require them to be fully conscious. argued that failing to stun the animals subjected them to unnecessary pain. population is comparatively small at 50,000.
that are stunned before they are killed. However, observers say finding such proof will be virtually impossible. Thieme, denied the bill was an attack on religious minorities. 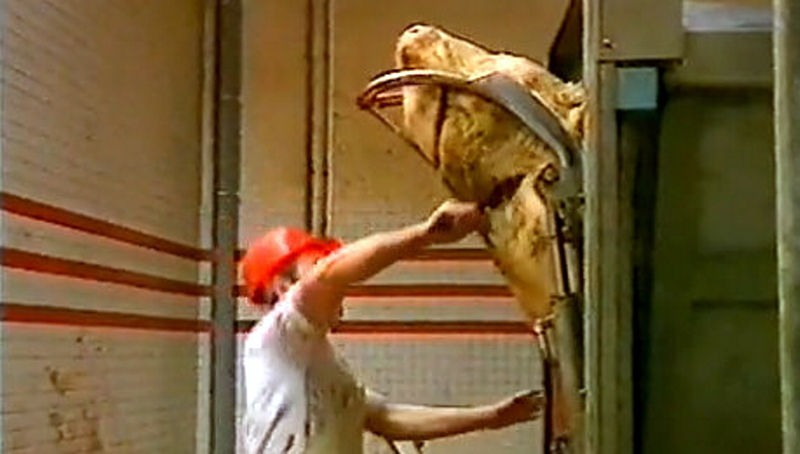 current regulations allowed exceptions for ritual slaughter. legislation and said it infringed on their religious freedom. Binyomin Jacobs told MPs during a debate in The Hague. we will stop eating meat,” he added. Correct said only 250,000 were killed without being stunned beforehand. South Korea: Festival Celebrating the Slaughter of Dogs for Meat Bites the Dust. dogs for meat bites the dust. protests from animal rights activists. aimed to promote traditional dog meat consumption. vendors are unwilling to rent space to those taking part. adviser to the association. Professor Ann says the festival was aimed at promoting traditional dog meat consumption. “We couldn’t possibly go on with the plan due to endless phone calls of complaint … now there are few willing to rent us a place for the event,” he said. Professor Ann says the festival would have displayed video clips and pictures of farms raising dogs under sanitary conditions, contrary to public perceptions. He says there are about 600 farms raising dogs for meat in South Korea, where their meat has long been eaten and dog soup, or Boshintang, is a summer delicacy. 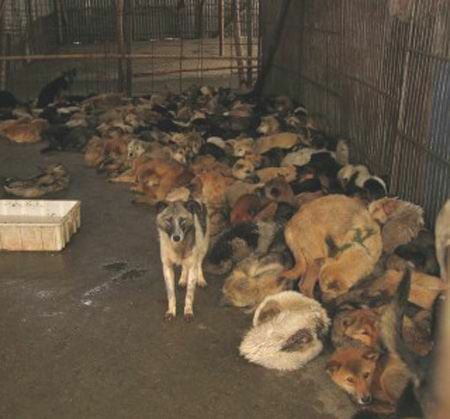 “This is making our country an international laughing stock and making the whole world mistakenly believe that all South Koreans eat dogs,” Park So-Youn, head of Coexistence of Animal Rights on Earth, said. Uk: Despite Attempts By David Cameron To Kill The Introduction of Legislation, It Is Now The ‘Start of the End’ For Wild Animals In English and Uk Circuses. 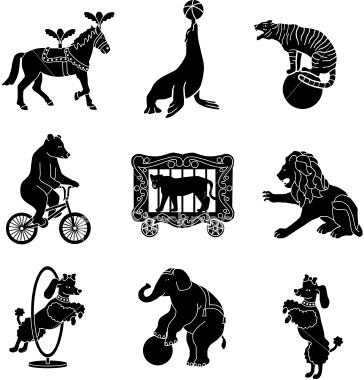 Thursday 23rd June 2011 has been a monumental day fo circus animals in England and the rest of the Uk. Despite overwhelming attempts by a government led by David Cameron (Prime Minister) to block the legislation calling for a ban, which included putting personal pressure on MPs involved in the issue, a vote in the House of Commons on the afternoon of 23/06/11 has now started the official wheels turning to enforce a ban on the use of all wild animals in circuses. SAV wishes to especially congratulate Mark Pritchard MP for having the resolve to continue with his fight to introduce this legislation, despite major threats and opposition from David Cameron; who all of us in the Uk animal welfare lobby know is NO real friend of the animals or of legislation aimed at improving animal welfare. Yesterday was a major defeat for those who wished to take no real, positive action in defence of animal welfare. 95% of the British public wanted a ban on the use of wild animals in circuses. The government led by David Cameron even established an on line consultation to ask the public what they felt. When the British public overwhelmingly showed they wanted a ban; the government ignored the wishes of the public and instead attempted to use EU and human rights laws as a feeble attempt to refuse the introduction of a ban. The brilliant campaign group ‘Animal Defenders’ http://www.ad-international.org/about_us/ instructed Bircham Dyson Bell, leading Solicitors and Parliamentary Agents, to research the conformity of a ban on wild animals in circuses with the European Convention on Human Rights and the Human Rights Act 1998 and the European Union Services Directive. “there are No obstacles left in the way for Government to implement outright ban”. The parliamentary vote on 23/06/11 dealt a massive blow; another blow to the current government; a government now known as the “U turn government” because of the amount of reversing and back tracking and changes it is doing with regard its fledgling policies. 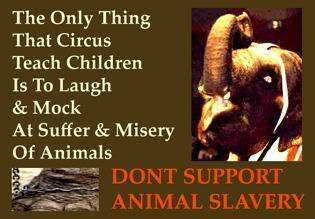 The use of wild animals in circuses is yet another issue where the government has been blown apart. Thursday 23rd June 2011 was a great day for Uk circus animals. It is the start of the end for beautiful animals performing cheap and degrading tricks for an uneducated audience. The following links provide more information on this historic event. Downing Street has signalled it will bow to pressure over MPs’ demands for a ban on the use of wild animals in circuses. But there are still “unavoidable legal difficulties” that must be overcome before the practice can be outlawed, officials have insisted. Ministers have steadfastly opposed the move fearing the Government will be left open to lawsuits from circus owners and workers. MPs agreed, however, to direct the coalition to introduce a ban from July next year after a debate in the Commons. Tory Mark Pritchard, who led the backbench call for a ban, claimed he had been threatened by the Prime Minister’s office unless he backed down. In an open show of defiance, Wrekin MP Mr Pritchard told MPs he was first offered “incentive and reward” if he complied with the wishes of the party hierarchy but as he stood firm pressure was “ratcheted up” on him. There are currently three travelling circuses in the UK, with a total of 39 wild animals, including zebras, lions, tigers and camels. Agriculture minister Jim Paice said Government lawyers advised that it was “highly likely” ministers would be challenged on the basis that an outright ban was “disproportionate in terms of improving welfare in circuses”. Almost 27,000 have signed The Independent’s online petition calling for the Government to ban wild animals in circuses, pushing it within a few thousand of its target. The Independent is hoping that 30,000 people will put their name to the petition by Thursday when MPs vote on whether to direct the Coalition to introduce a ban. 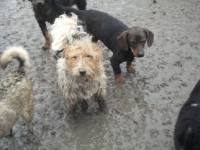 Animal welfare groups are concerned that some MPs who have signed Commons motions backing a ban will not turn up because the three-hour backbench debate takes place on a Thursday afternoon when many would normally return to their constituencies. 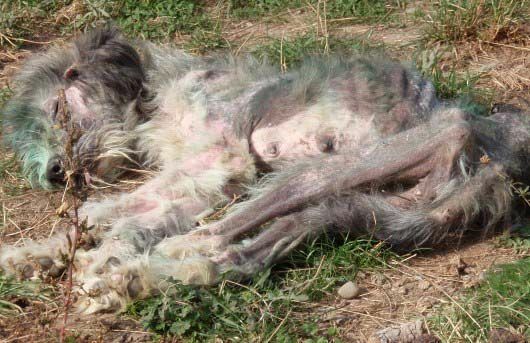 In the run up to the vote, the RSPCA and other organisations are encouraging supporters to contact their MP urging them to vote. Meanwhile The Independent is making a final appeal for people to sign its petition. The Captive Animals Protection Society, which is backing The Independent’s campaign, appealed for the public’s help. A copy of the joint letter to the Prime Minister can be viewed here. **Recent History: Animal Defenders Show that there would be NO breaches of Acts, despite what the government says. ADI instructed Bircham Dyson Bell, leading Solicitors and Parliamentary Agents, to research the conformity of a ban on wild animals in circuses with the European Convention on Human Rights and the Human Rights Act 1998 and the European Union Services Directive. This week MPs voted to ban the cruel use of wild animals by circuses. The ban isn’t law yet, but it could be if MPs keep pushing the government to end this cruel and outdated practice. I’ve just added my name to a letter to MPs thanking them for what they’ve done so far and urging them to keep pushing for a circus ban. I thought you might want to sign the letter too. 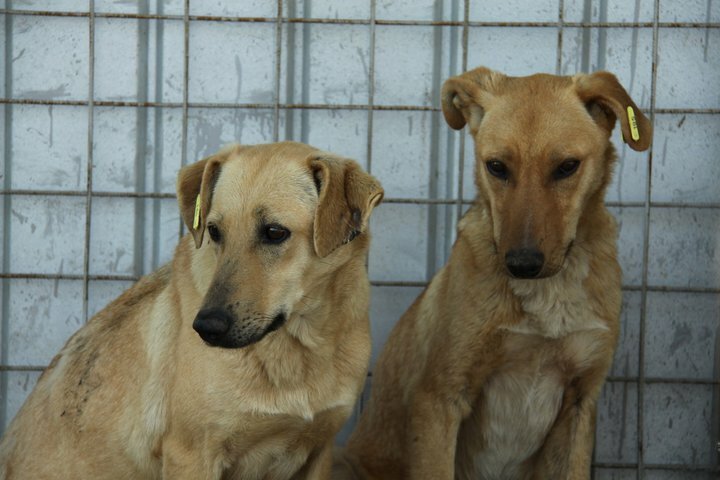 Romania: **INTERNATIONAL Short Mails Required Please Urgently** – The Mayor in the city of Iasi (Romanian’s 2nd largest city after Bucharest) who up until now has been committed towards CNR has started to bow to the concerns of a few narrow-minded individuals who want the dogs off the streets ‘now’ no matter how it’s done!! – Killing could start anytime. Please Help and Take INTERNATIONAL Action to Stop. 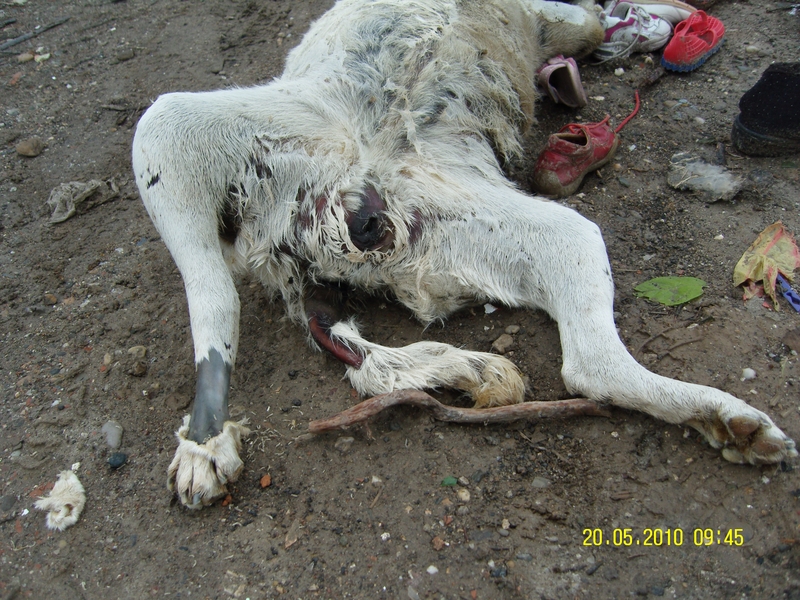 Chrissy at Romania Animal Aid here in the Uk has asked for some help – Urgently. Please do what you can to write regarding this situation. The link provides more information and e mail details of persons to contact. Full details in the link provided. Thanks – SAV and Chrissy. See link explaining more to follow. Essentially the Mayor in the city of Iasi (Romanian’s 2nd largest city after Bucharest) who up until now has been committed towards CNR programs and has been very receptive to our efforts to ‘top’ this up by funding 50 spays per month (my own charity RAA and the American charity RAR co-sponsor this), has started to bow to the concerns of a few narrow-minded individuals who want the dogs off the streets ‘now’ no matter how it’s done!! Given his position and with the politics of the situation ever mindful (i.e. he wants to appease his voters) he has now ordered the round up of as many strays as possible to be taken to the city shelter. The city shelter simply does not have the capacity to take them all in given the size of Iasi and so within days will be totally over-whelmed. From there the killings will no doubt start! This Mayor has been very cooperative until now and we need people to politely urge him to continue down the path of CNR as this is the only way to effectively and humanely manage the problem in the long-term. 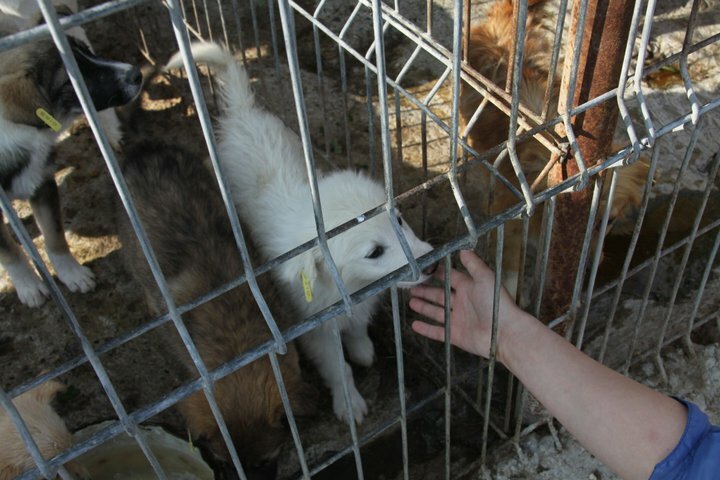 Residents of Iasi especially are being asked to email/call the mayor and our coordinator in the city (Lelia) is hoping to meet the press at the city shelter tomorrow to highlight the situation further but if people across Europe could for now urgently email those listed on the link appealing to them not to be persuaded away from CNR we’d be very very grateful. 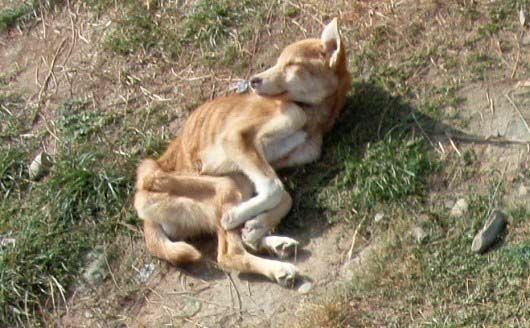 Today it has been learnt that because of a few complaints by misinformed and biggoted people within his community that the Mayor of Iasi Mr Ghe Nichita, is not only going to discontinue working with NGO’s such as Romania Animal Aid and Romanian Action but has already started to allow neuterd and spayed dogs to be dragged into the local shelter. 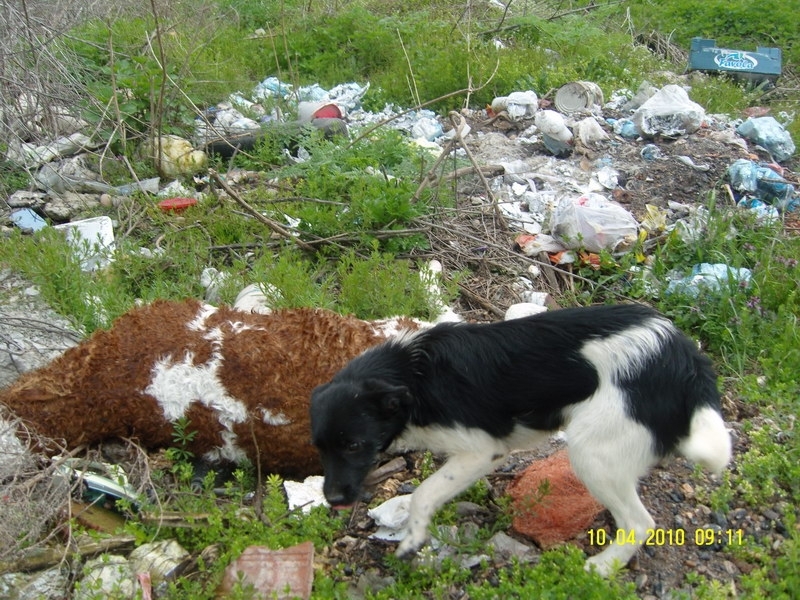 Also that he is because of a few backward thinking local people is considering euthanising the strays in Iasi including those on the streets currently and also in the city shelter. Now is the time that we all need to be contacting the mayor . The main points I have highlighted in bold, please do write your own correspondence around these points, but also add your own. Remember, with this guy, be very polite and applaud his efforts and sucess in the past with the catch neuter and release programmes he committed himself and his city to. This guy is not yet our enemy, please dont make him one Polite,firm and commend him for his efforts so far, but remind him of the horrific mistakes made in the past before he committed himself and his city to the catch,neuter and release programmes. Strongly urging him to stay committed to his spay/neuter and return efforts, this is the only proven long-term solution to effectively manage the over-population problem. Every expert in the subject of stray dog management adheres to this, and it was surely because of his intelligence and forward thinking in understanding this that he committed his municipality to such programmes. Remind him that a rushed decision based upon a handful of backward thinking individuals could potentially be a landmine of problems in the future. Not only in regards to his and his provinces public image locally and nationally, but also on an international level. Remind him what affect the Mayor of Botosani had on Romanias public and international image when he made a similar decision last month, ask him why he would even think of making again the mistakes of the past and cave in to a few uneducated and biased inidviduals who know no different. If he was to start euthanising the shelter and street dogs, this would not only be inhumane but would reflect extremely badly on his city in the eyes of the majority of his citizens and also the International community in general. 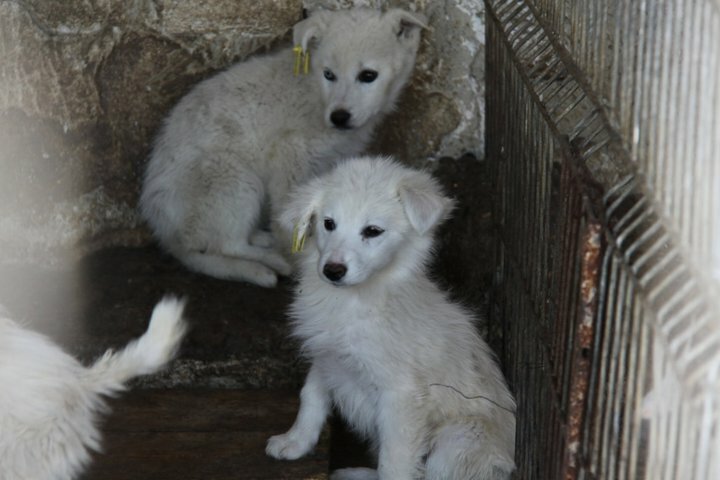 If you live in Romania, especially in Iasi, the mayor really needs to hear from you, he needs to hear the majority of citizens in his city are against euthanasia and support the catch ,neuter and release programmes instead. Guys, please link in with Leila Creanga on Facebook if you can. Lelia is battling the authorities in Iasi alone. Iasi is in Moldova and there are not as many rescue people in that region. Leila is pretty much on her own. If you are on Facebook please add Leila Creanga to your friends list. She is battling the authorities alone in Iasi. She needs our support and posts updates on her profile! She is one of the strongest people I know coping wit the situation out there but needs a helping hand! Remember what happened at Botosani ? – see pictures below. We dont want another duplicate at Iasi ! !